We've selected some MIDI File and MP3 editing APPS for MAC and Windows. Please note these are 3rd party apps and we offer no training, advice, guarantees, liability or support. Support for these apps is available on product web pages, online forums and YouTube. Editing MIDI Files is Easy! Change key, tempo, instruments and the song arrangement is easy when you take a little time to learn your software. We recommend using the products support pages and knowledge base. YouTube offers great video tutorials. 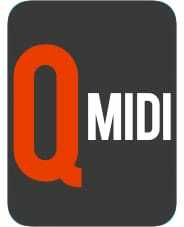 Q-Midi is the ultimate MIDI FILE, MP3, MP3+CDG, Karaoke and Movies for MAC. Import and edit lyrics and chords, real time key change (pitch shift), time stretching and the ability to display karaoke and movie content in full screen mode, even on a second monitor. Pro version available for a small fee. Create and Edit MIDI Files. 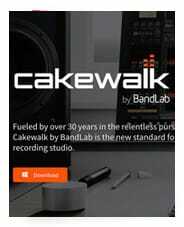 Full MIDI creation software and update on the classic Cakewalk and much loved program by Bandlab. This free version also embeds lyric and has heaps of useful features. Convert merged and split MIDI Files to the format of your choice. Note, MAC version may require a fee after trial. Convert individual or multiple MIDI Files. Useful when sequencing program does not have a de-mix or split tracks function. MP3 Transposer, time shifter, tempo changer & EQ program that really works. Easy to use! Low affordable price. Updates are FREE to registered users. 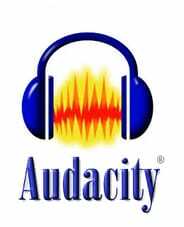 Record Audio Files and save to MP3, WAV and other audio formats. Transpose MP3 and WAV Files. Fade in's Fade out's with Normalize and many useful editing functions. Easily Cut/Copy/Paste sections. available in MAC and PC versions.